Betting tips and enhanced odds for United v Young Boys. Five minutes against the Italian champions got us all excited about a return to those old days of “Fergie time”, but 3-1 defeat against City in which we were thoroughly outclassed and a limp goalless stalemate with the struggling Eagles has put a damper on expectations. Despite paying far higher wages than City or our other domestic rivals, there’s an alarming lack of goals and creativity out there on the pitch at the moment. Perhaps even more worryingly, a lack of “heart” and “intensity” was on demonstration against Palace as Mourinho bemoaned following another dismal display. That leaves us with just three victories in nine home games this season and that simply isn’t good enough. Fortunately, our Swiss opponents are simply out of their depth at this level. Their sole point has come at home to Valencia – who have endured their own struggles this term – while Paul Pogba and Anthony Martial turned on the style to down them in the reverse of this fixture as we ran out 3-0 winners. Young Boys are just W1-D4-L5 across the group stages of this seasons’ Champions League and last year’s Europa League. They’ve conceded three times each against Juve, Valencia and ourselves in their three defeats this term, and so despite the lack of creativity, we still fancy our chances against limited opponents. However, we’d opt for the win to nil than any sort of handicap as it remains to be seen who Mourinho selects for this encounter. We had thought a frontline of Sanchez, Martial and Pogba would be deployed against Palace, with the greater mobility a scarier prospect for their rugged centre-backs than the prospect of a physical battle with Romelu Lukaku, but Jose left us frustrated by opting for out-of-form Belgian down the middle over the Chilean. Meanwhile, Young Boys have failed to score on the road in Europe whenever they’ve encountered real quality in recent times, including encounters with Juve, Monaco and Napoli since 2014/15. Jesse Lingard wasn’t exactly our best player versus Palace but he was at least livelier than many of his teammates off the ball as a willing runner, almost producing the goods as he forced a smart save from Wayne Hennessey during the opening period. He’s yet to score for us this term, but was excellent for England over the international break with goals against both the USA and more importantly, the opener against Croatia – despite only being on the field for a combined 75 minutes. Having only played an hour against Palace before being hooked, should have fresh legs and deserves another chance from the off to stake his claim having at least shown some of that “heart” and “intensity”. 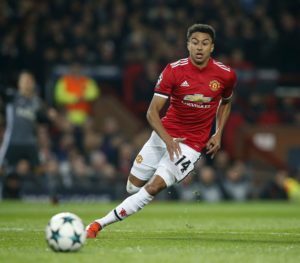 Could Lingard find the back of the net against Young Boys?